On 29-30 April, the ESU participated in a festive event in the former Benedictine Abbey of Brauweiler-Pulheim. To mark the European Day of Solidarity Between Generations dr. Bernhard Worms organised the launch of the Foundation ‘Youth and Seniors for Europe’. Committed speakers, interesting discussions, and an excellent organization was provided for by dr. Worms and his team. The new foundation emerged from the ‘Helmut Kohl Golden Badge of Honour’ Foundation. The conversion was carried out at the request of former Chancellor Dr. Kohl. “Like its predecessor, the Foundation pursues the goal of serving Europe”, Dr. Worms stressed. It is intended to give students a grant for researching and working on ways to strengthen the integration of Europe. 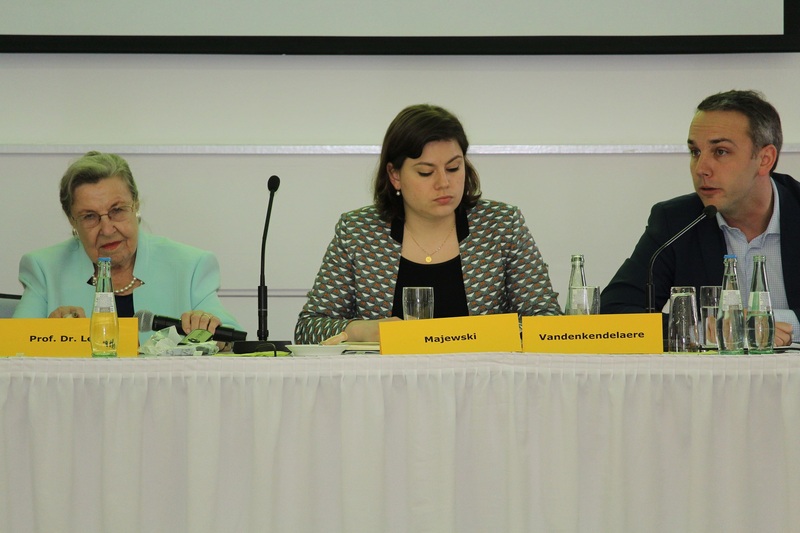 The speakers talked about the successes of European integration, possible risks and ways to overcome them. Among the list of speakers of the congress were: ESU President Prof. An Hermans, Dr. Hans-Gert Pöttering, President of the Konrad-Adenauer Foundation; Prof. Dr. Jürgen Rüttgers, former Federal Minister and Prime Minister of North Rhine-Westphalia, MEP Elmar Brok, as well as Professor Steven Van Hecke, Catholic University of Leuven. Dr. Stefan Gehrold, from the Konrad-Adenauer Foundation in Brussels, chaired a discussion forum. For the debate about ‘Intergenerational solidarity’ also young participants were invited: MEP Tom Vandenkendelaere and Eva Majewski, head of the Youth CDU/CSU fraction in the German parliament. Young and older participants had fruitful and inspiring discussions. Dr. Pöttering urged not to forget the lessons of the history of European integration, and to teach history as a lesson for the future, even when it comes to the current immigration crisis. “There is no reason to despair of Europe” he said, “there is always a way out, because we must achieve it and we want it”.